We believe that traders need an edge that can only be gained by statistical analysis. The way we accomplish that is by running statistical models in real-time and helping you to make the right decisions in real-time. If you want to gain control over your trading, this app is for you. Make smart decisions quickly by having all of the information you need at your fingertips. The drive to become a Better Trader is something that we keep in mind as we develop any new updates of the app. 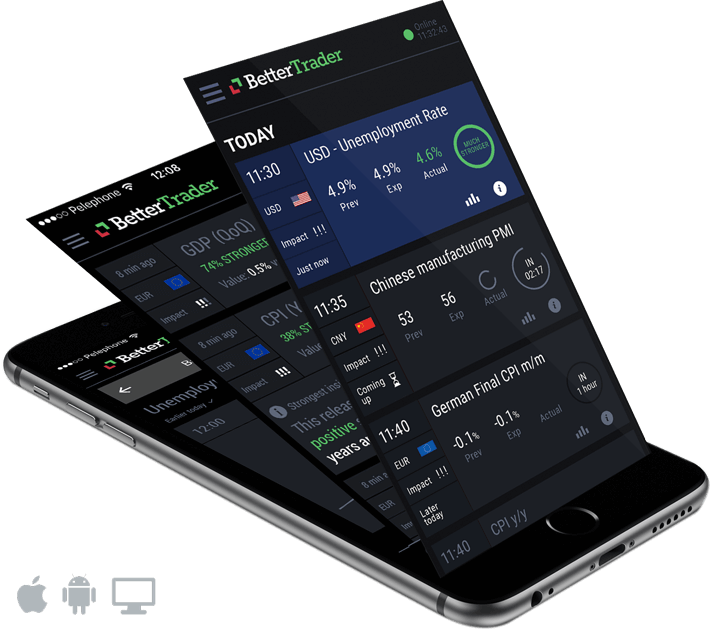 BetterTrader.co is an analysis company; We believe that traders need an edge that can only be gained by statistical analysis. We accomplish this by running statistical models in real-time and help you make the right decisions. This might be the right tool for you!